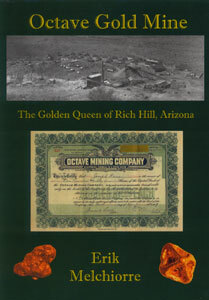 The Octave Gold Mine was the crown jewel of the hard-rock mining sites in Rich Hill, Arizona. Charlie Genung's initial claim ultimately yielded over 80,000 troy ounces of gold. 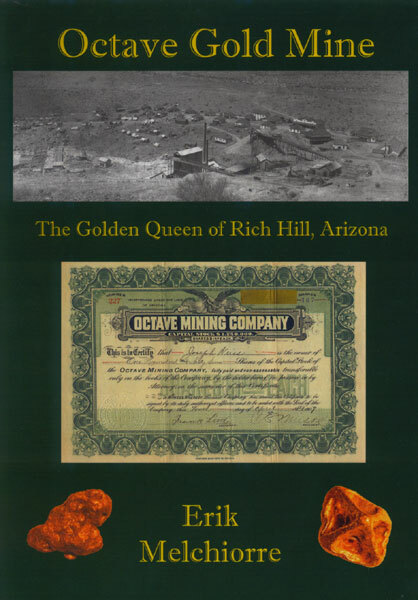 Genung Avenue here in Wickenburg is named for Mr. Genung. 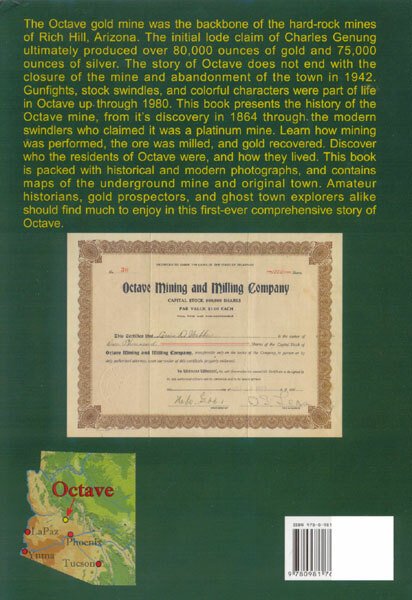 This book is the first meticulously researched work on the Octave, and it includes tons of supplemental reading, a census record, and an old map of the claim.